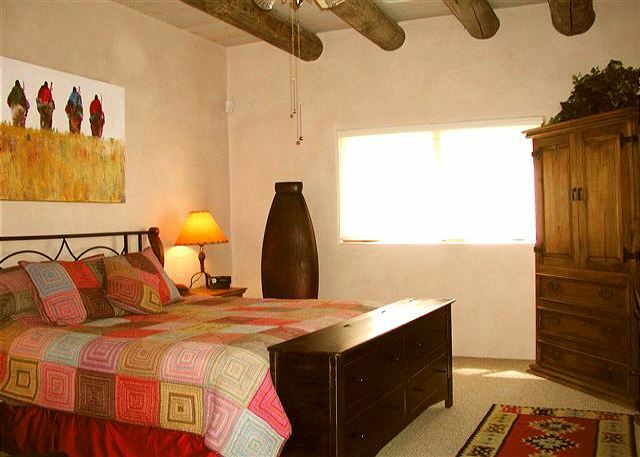 This new and spacious adobe-style home is tastefully appointed throughout with lovely art and all modern amenities including a large and well-equipped kitchen, 2 TVs with DVDs, free long distance calling within the US and Canada and WiFi high speed internet access. 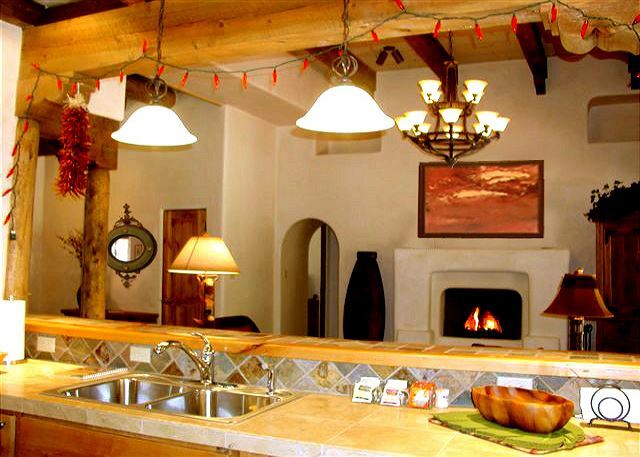 The open floor plan in the common areas provides the perfect place to be together with family or friends, while the private bedrooms offer quiet, personal space. 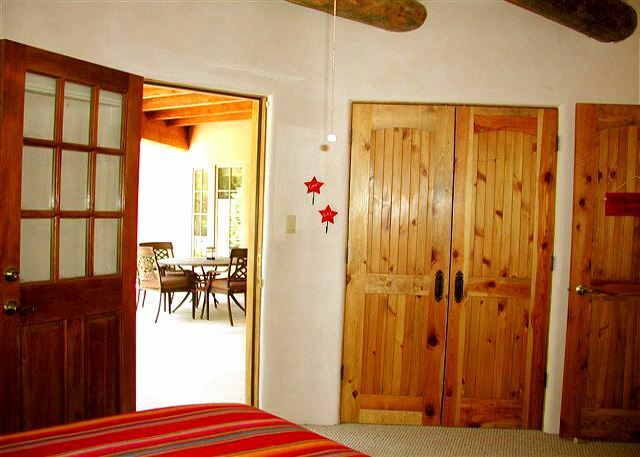 Two of the three bedrooms also open directly outdoors. There is central air-conditioning throughout, as well as ceiling fans in all three bedrooms. 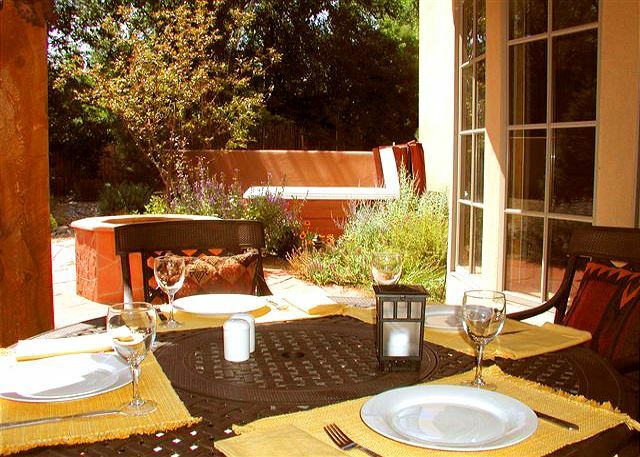 The large walled and beautifully landscaped yard all around, and the flagstone patios both front and back, ensure there is always a perfect and private spot in the sun or shade to enjoy outdoors. 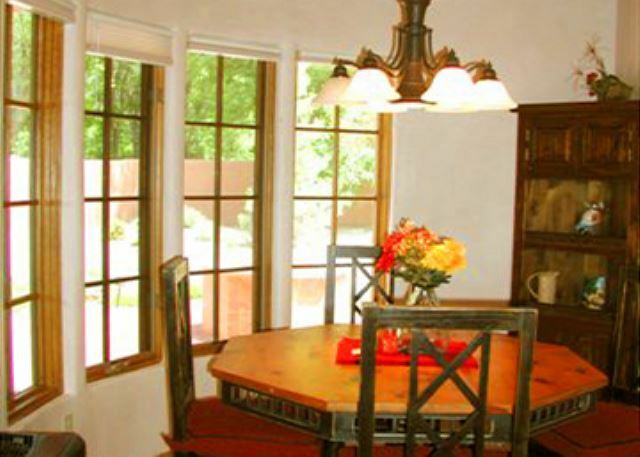 Double french doors from the living room and from the gracious dining room open the house to the summer breezes or bring in the winter light. 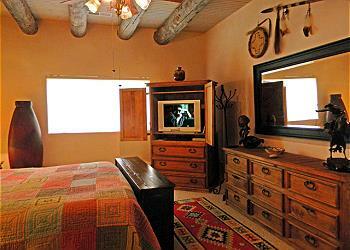 Relax in the outdoor hot tub or the Jacuzzi tub in the master bathroom. 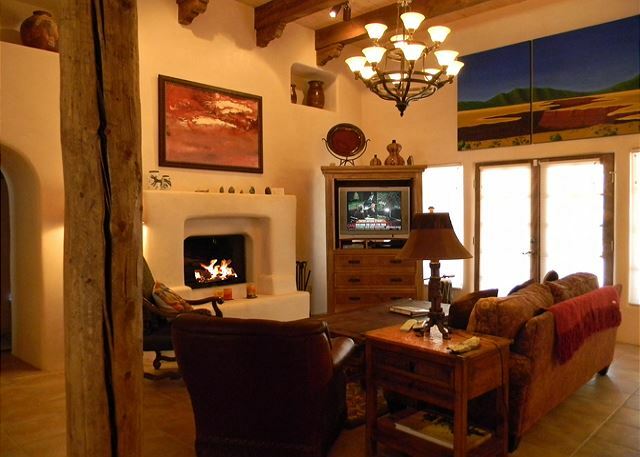 Take the chill off cool evenings with the quick and easy living room gas log fireplace. 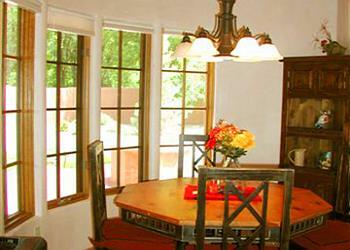 Have a cozy breakfast watching the birds in the window surrounded bistro nook off the kitchen. 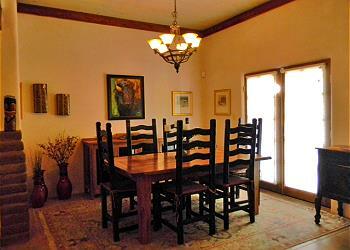 Enjoy a dinner party in the separate dining room or eat outside on the covered patio. 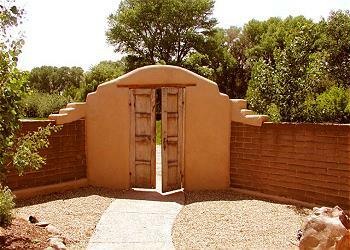 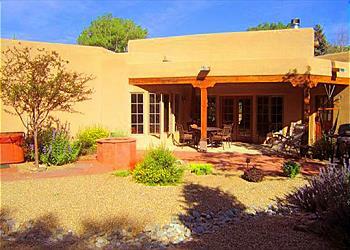 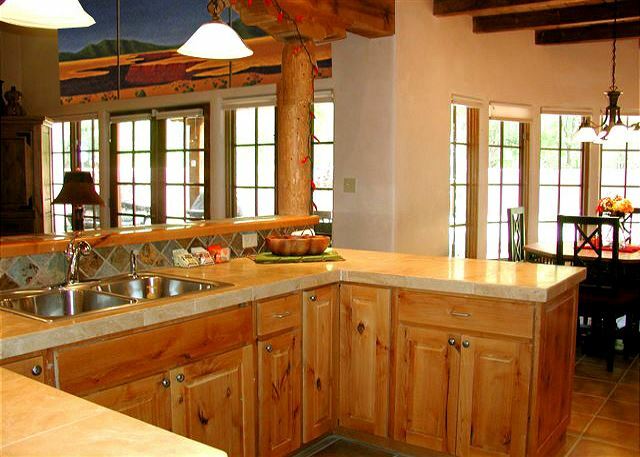 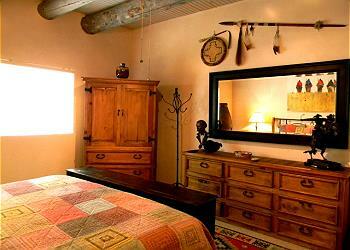 Come and have an extraordinary lodging experience at another of Premiere Properties finest Taos vacation rentals.